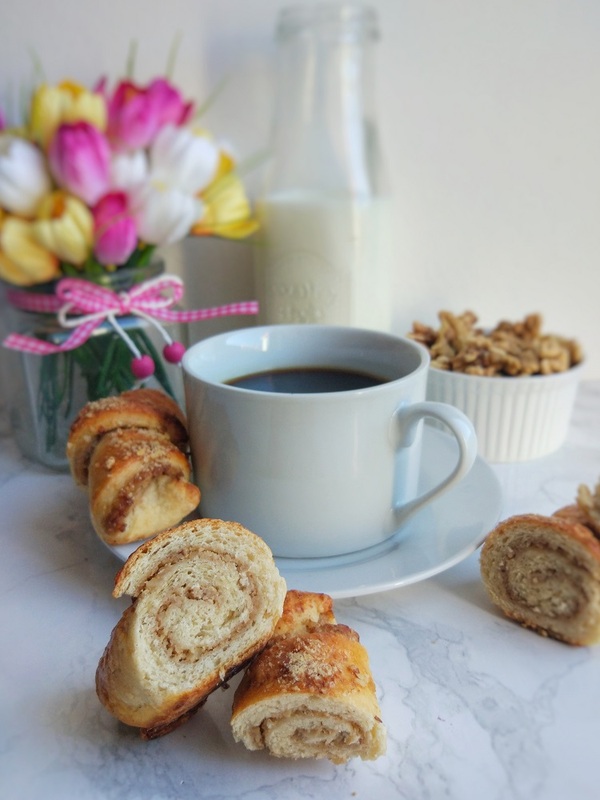 Easter is just around the corner and in Slovenia this time is all about “potica” (yeast dough filled with all sorts of fillings and rolled into a sort of roulade). 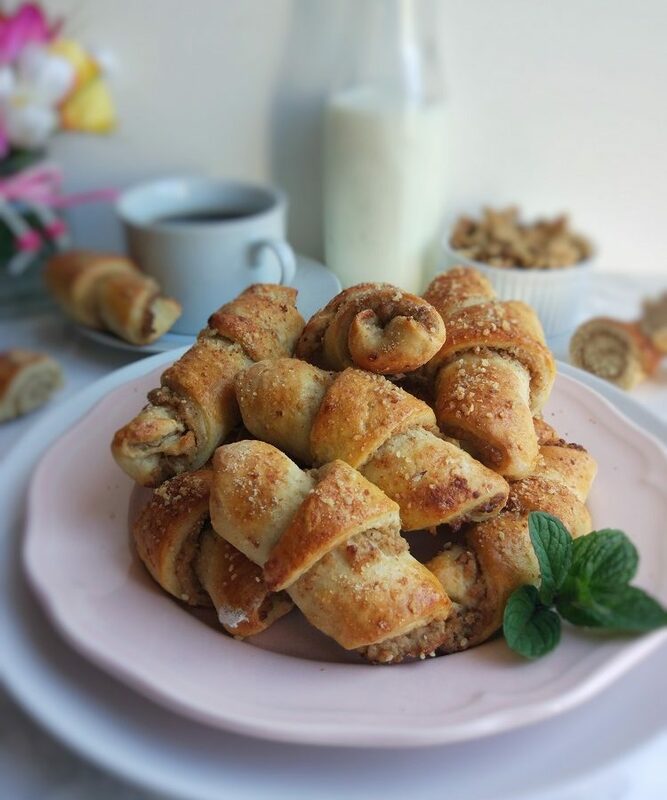 One of the most popular fillings is walnut, which was also the inspiration for these little rolls. 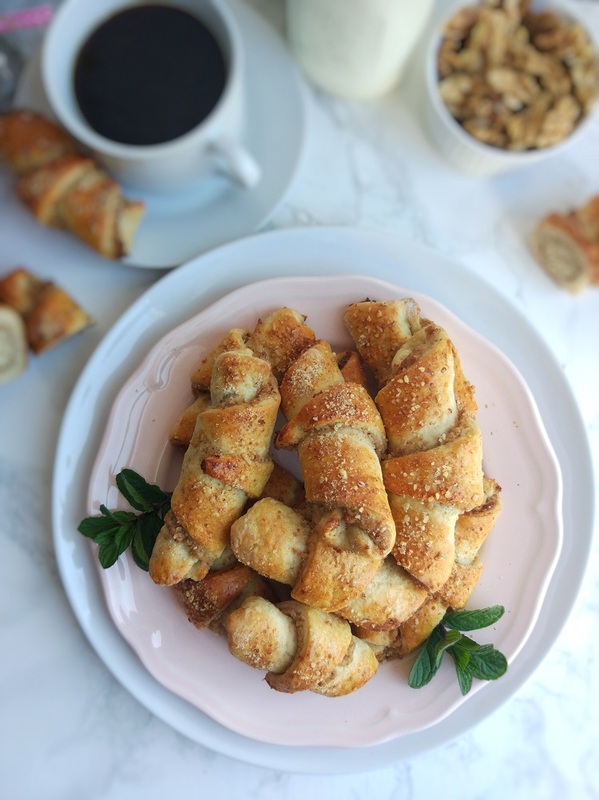 My grandmother used to bake rolls almost just like these but I decided to add some rum raisins as well since this is my favorite part of walnut “potica”. 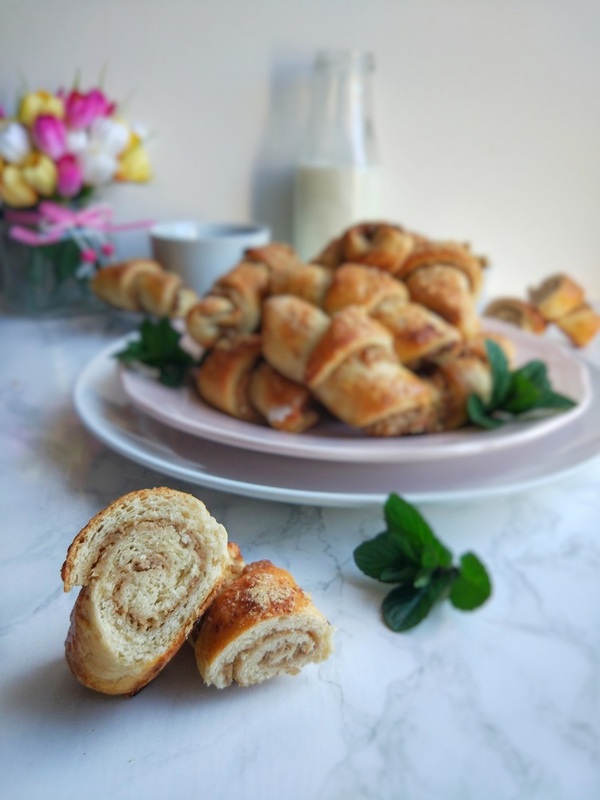 And the best part – by using less sweetener and no cinnamon, you can use this dough for any sort of savoury rolls as well! Start by preparing the filling. Mix the walnuts with hot (but not boiling) milk. Add the rest of the ingredients apart from sour cream and mix well. You can add the sweetener completely to your taste. Lastly, add the sour cream, mix well and set aside. Quickly cook the raisins in some rum. For the dough, crumble the fresh yeast into a cup, add a teaspoon of sugar and some warm milk and mix into a smooth paste. Cover with a teaspoon of flour and let sit for about 10 minutes. In the meantime, sift the flour in a large bowl and add Sukrin, salt and cinnamon to the sides of the bowl. Once the yeast is done, pour it in a well in the flour and mix quickly, then add the oil and egg and mix. Slowly add the milk and yoghurt mixture and knead into a ball. Let rise for 5 minutes, then devide it into 4 equal ball and let sit for additional 15 minutes. Meanwhile, heat the oven to 200 degrees Celsius. Roll out one of the dough balls into a flat circle and cover with the filling. Cut into 8 equal triangles, cover with rum raisins and roll into rolls. Repeat with the rest of the dough. Place the rolls on baking paper covered trays, cover with eggwash and ground walnuts and bake for 14 – 16 minutes.